Chip Somodevilla/Getty ImagesStephen Miller talks to reporters about President Donald Trump’s immigration system in December 2017. A former teacher for Stephen Miller, the most well-known hardline immigration staffer in the White House, wrote this week that he was a “loner” that ate glue as a child. Now Nikki Fiske has been placed on “home assignment” as the school district about her “release of student information,” the Los Angeles Times reported. Miller has been identified as the driving force behind the Trump administration’s “zero tolerance” policy that separated immigrant children from their families at the US-Mexico border. A teacher who claimed that Stephen Miller, President Donald Trump’s senior policy adviser and an immigration hardliner, ate glue as a kid has reportedly been suspended from her job. “I remember being concerned about him – not academically. He was OK with that, though I could never read his handwriting. But he had such strange personal habits. He was a loner and isolated and off by himself all the time,” she said. “Of course, Stephen wasn’t political then – it wasn’t until later that he started to make waves,” Fiske wrote. Now, the Santa Monica-Malibu Unified School District has placed her on “home assignment” while it decides what to do, if anything, about Fiske’s comments, the Los Angeles Times reported. Miller has been identified as the driving force behind the Trump administration’s “zero tolerance” policy that separates immigrant children from their families at the US-Mexico border. Miller has been a rising star on the far right for years, often making headlines because of his polarising demeanour and statements. 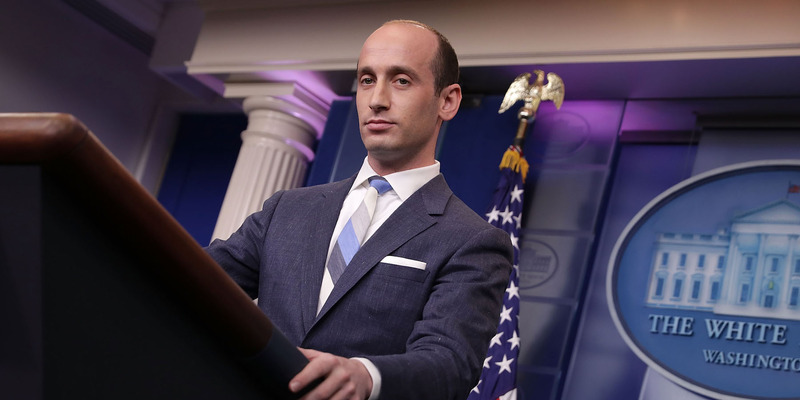 Miller is reportedly sometimes too extreme even for President Trump. His uncle criticised him in an op-ed for Politico in August, who wrote that Millier’s policies today would have made his families journey from Eastern Europe to a series of successful family businesses in the US impossible.